Because we attend Burning Man regularly, we frequently refer to ourselves as Burners, and we have many other Burner friends who do the same. Like most of them, we’ve always thought of our Burner lives as only one persona among several. For example, we’re also retired from the work we did for some 30 years, and still have connections to that work and the individuals who were our colleagues then. In addition, we spend part of the year living in a retirement community where we have developed numerous relationships. We’re also parents and grandparents with close and important ties to those we care about the most – our family. Finally, we spend our winters skiing and working part-time in North Lake Tahoe ski resorts, and we’ve made many friends there as well. We’re obviously Burners annually when we attend Burning Man, and also during Burn-related events such as decompressions or parties for Burner friends. We love to get involved in our regional group’s CORE art projects, because art is what drew us to Burning Man in the first place. But our lives do not orbit exclusively around Burning Man. For people our age, I think that’s important to understand. The commitment that you make to Burning Man can be at any level you desire. It can be for one week in the Nevada desert or for the entire year if you choose to make fellow Burners more central to your life. Burner families — not all the same. Our choice is a mix. 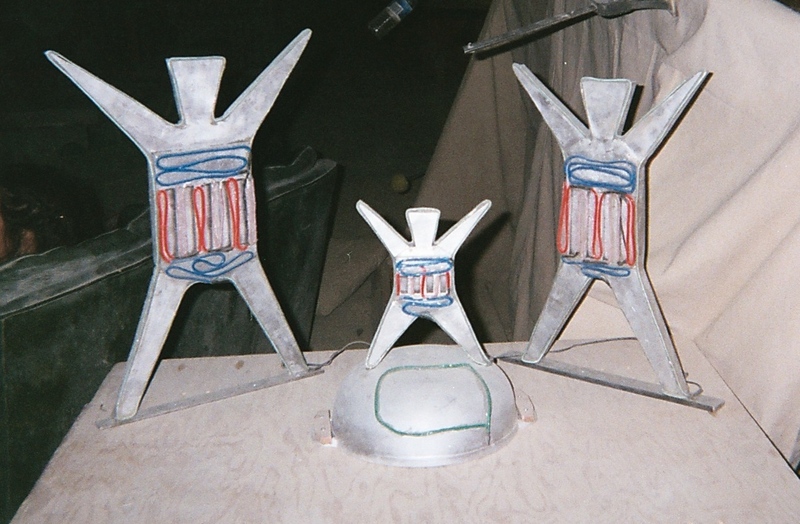 We always proudly call ourselves Burners, and we feel Burning Man has enriched our lives in a multitude of ways. But we also see ourselves as parents and grandparents, as members of our senior community, and as residents of North Lake Tahoe during the winter. We focus on these individual parts of our lives as it suits us and as necessity requires it. When we’re in our “active adult” community, we socialize with our friends of similar age and interests, and take advantage of the amenities that are part of that lifestyle. In Lake Tahoe, we see mostly our fellow workers and skiers. And when we’re with our children and grandchildren, our lives are all about family. Making choices about how to play out your Burner persona is one of the factors that allows us – at this stage of our lives – to continue participating in Burning Man, to continue enjoying the parts of being a Burner in which we choose to participate. For us, going to Burning Man is not a full-time commitment, although it certainly can be. We’ve had a ball going to decompressions and parties with some of our Burner friends, “meeting” with them on Facebook, and participating in occasional work weekends out in the Black Rock desert. We sometimes even meet with the parents of our Burner friends to try to recruit them to come to the festival. But we never feel committed to attend any particular event. We like to keep our options open and socialize with our full range of friends and family, both in and out of Burning Man.